Provide comfort for the family of Olyne Patryluk with a meaningful gesture of sympathy. 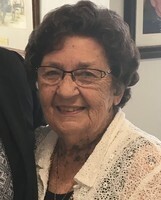 Olyne Patryluk (nee: Owadiuk), aged 89 years, of Selo Gardens, long time resident of Regina, passed away peacefully at the General Hospital on Saturday March 23rd surrounded by the love of her family, friends, and the community she served. 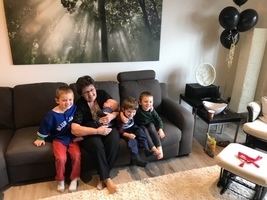 She was predeceased by her husband Alex, who was the love of her life, Olyne is survived by her loving family: sons, Tery (Heather) and Bob of Regina, SK and daughter Marianne (Earl) Mosewich, Colesdale Park, SK; 7 grandchildren, Amber Mosewich, Edmonton, AB, Sienna (James) Huck, Regina, SK, Preston (Kirbie) Mosewich, Martensville, SK, Christie (Matt) Harris, Regina, SK, Shawna (Rav) Lal, Brisbane, Australia, Bryce Patryluk, Regina, SK and Troy Patryluk of Saskatoon, SK; and 7 great grandchildren, Carson and Pierce Huck, Wyatt Mosewich, Logan and Allison Harris, and Jaiden and Ashton Lal. Olyne’s love and energy drove her to serve in many capacities on numerous Ukrainian clubs and committees. Though she would be too humble to admit it, her contributions to culture and community leave us with a legacy that are a genuine product of her hard work and generous nature. 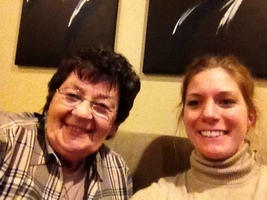 One of her greatest joys was sharing her love of tradition with her family. A bustling house with music, laughter, and ample food and drink brought family and friends together from far and wide. Through the years, the family grew – much to Olyne’s delight - and our beloved “Baba” was a constant symbol of compassion, comfort, gratitude, and support. 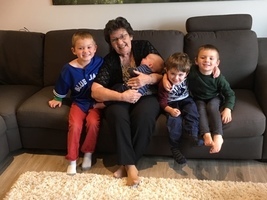 Her pride in her family was evident in the stories she shared with her friends and the way she beamed with delight during each and every visit. The Funeral Service will be held on Friday March 29th at the Descent of the Holy Spirit Ukrainian Orthodox Church at 10:00 a.m., conducted by Rev. Fr. Volodymyr Feskiw. Interment will follow at Riverside Memorial Park. Prayers will be held on Thursday March 28th at 7:00 p.m. at the church. Olyne’s family would like to thank all the nurses at 3E at the General Hospital and her friends at Selo Gardens. Flowers are gratefully declined. Those so wishing donations in her memory can be made to the Shevchenko Foundation. For online condolences, tributes, photographic memories or to make a donation in her memory please visit fotheringham-mcdougall.com. Speers Funeral Chapel and Fotheringham – McDougall Funeral Service in care of arrangements. To plant a memorial tree in honor of Olyne Patryluk (Owadiuk), please visit our Heartfelt Sympathies Store. Donations are being accepted for: UKRAINIAN CANADIAN FOUNDATION OF TARAS SHEVCHENKO,. We encourage you to share your most beloved memories of Olyne here, so that the family and other loved ones can always see it. You can upload cherished photographs, or share your favorite stories, and can even comment on those shared by others. In memory of Olyne who will be dearly missed. William Patryluk, Irene Patryluk and William Taylor Patryluk "In Memorial of OLYNE PATRYLUK"
I have fond memories of Aunt Olyne and Uncle Alex coming to Oakburn, MB, to visit with Mom and Dad (Al and Marge Matiowsky). Uncle Alex's booming laughter and Aunt Olyne's bright smile and kind heart are timeless memories etched into my mind. It was at these times that our Ukrainian culture was on full display and joyfully celebrated. Our deepest condolences to the Patryluk family - her legacy - as they prepare for life without her. She will be missed.